Infused with a blend of quality, all-natural selected actives and botanicals, the Fabulift Body Advanced Formula Shaping Body Wrap is formulated to not only improve the look of skin, but also tone and promote inch-loss. Seaweed, collagen, caffeine, essential vitamins and more work together to help refresh, tighten and leave you looking and feeling fabulous. Collagen plays a role in the body of the glue that helps hold us together. Collagen levels deplete with age leading to loss of skin elasticity, lines and wrinkles. 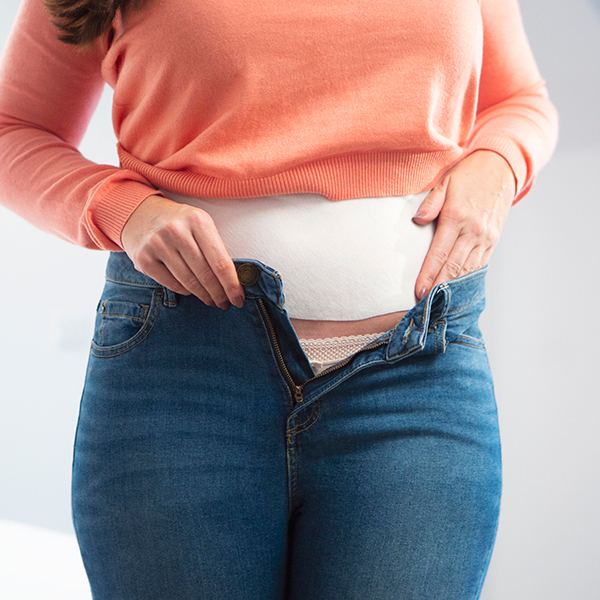 Designed to fit over target areas, including common problem areas like the stomach, thighs and arms, it’s recommended to leave this wrap to work its wonder overnight for the best results. On application, you may experience a cooling or warming sensation; this is just a sign that the wrap is starting to work. Wherever you decide to use the Fabulift body wrap, aim to measure this area prior to application. Then, the next morning, easily remove and loosen under the shower, re-measure and see the results! Versatile use, ideal for stomach, arms, thighs and even chin! Please note: Customer is allowed to try one wrap only to qualify for a refund. 12 female volunteers, aged 19 to 55, applied wrap for a minimum 8 hours overnight. Measurements were taken before application and the area of application was marked to ensure that subsequent measurements were taken in the same place. A second measurement was taken of each area immediately after the wrap was removed. 7 of the volunteers went on to trial for 2 weeks, applying a wrap a total of 4 times with a minimum 72 hour gap between end of one application and the next. The Fabulift brand creates cutting edge anti-ageing solutions that give an instant result as well as offering benefits to the skin. Consultant cosmetologist Tammy Hollis was instrumental in bringing this concept to life, drawing on her years of experience in the medical aesthetics and salon industry. Tammy has travelled the world educating practitioners and began her career in skincare development, working alongside medical laser manufacturers to create cutting edge cosmeceuticals. She has been behind some of the most successful products in the med-aesthetic market and has been nominated for the most innovative product of the year.